Discussion in 'Guitar Emporium Archive' started by FiddleTunesinD, Apr 19, 2016. 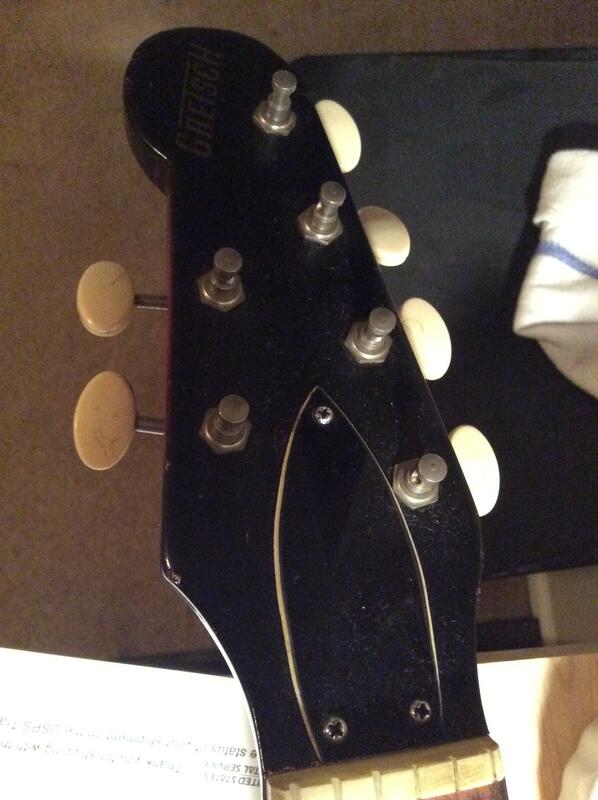 1966 Gretsch 6135 Corvette. 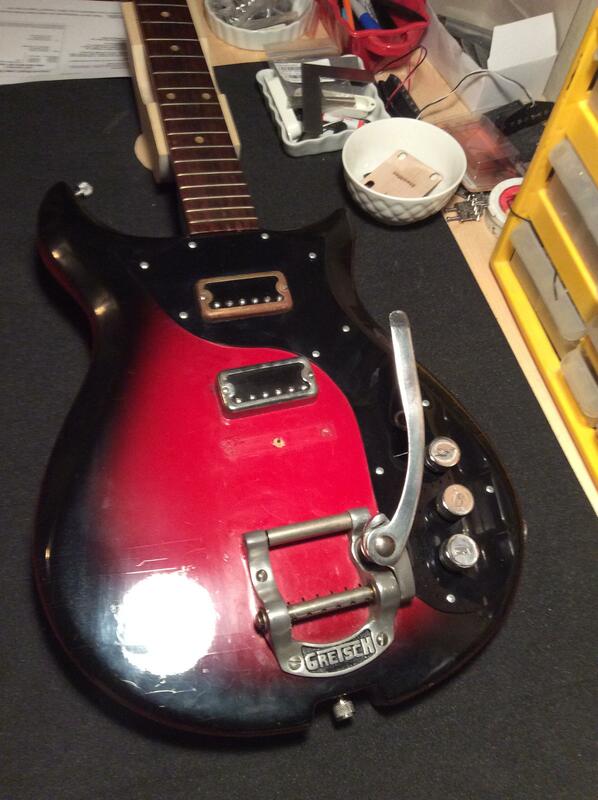 Cool dual Hi Lo Tron model in Red Burst. She needs a little work to get her fully playable again. -- Needs a new nut. The slots have worn over the years making the action too low at the nut. 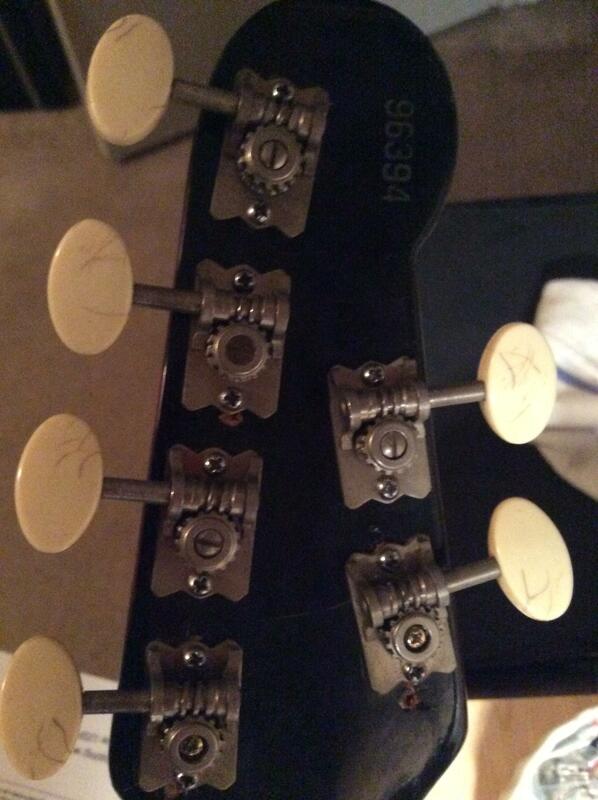 -- Needs new frets. Too low as they have been crowned one/two/three too many times. The pickups and pots look to be original. 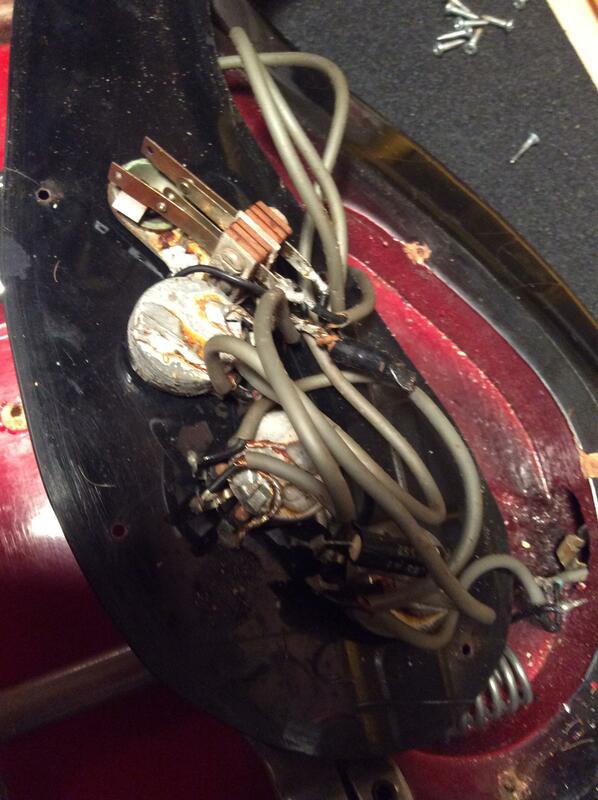 There normal wear for a 50 year old guitar. 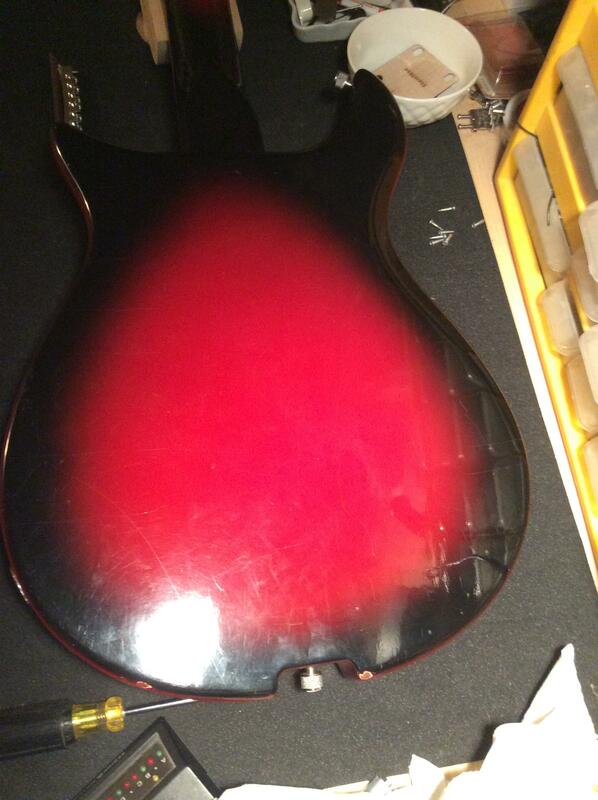 The finish has various crazing on the top and the back of the neck. 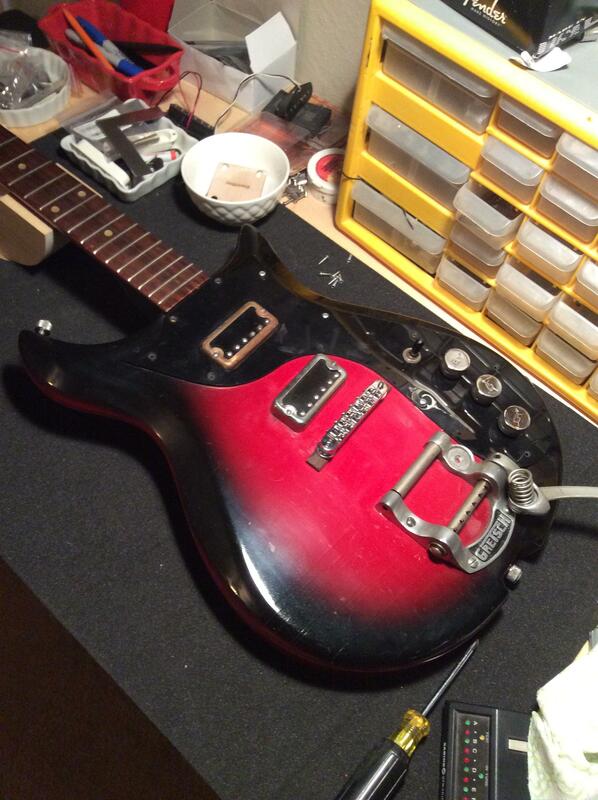 Trades – looking for American STD strat or tele or cool parts caster.